National poet of Scotland, Robert Burns was born on this day in 1759. 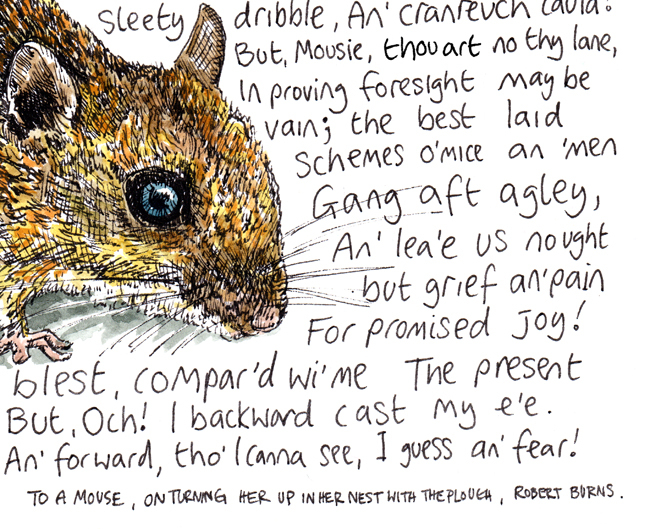 Here I have sketched a personal favourite of his poems, ‘To A Mouse’. 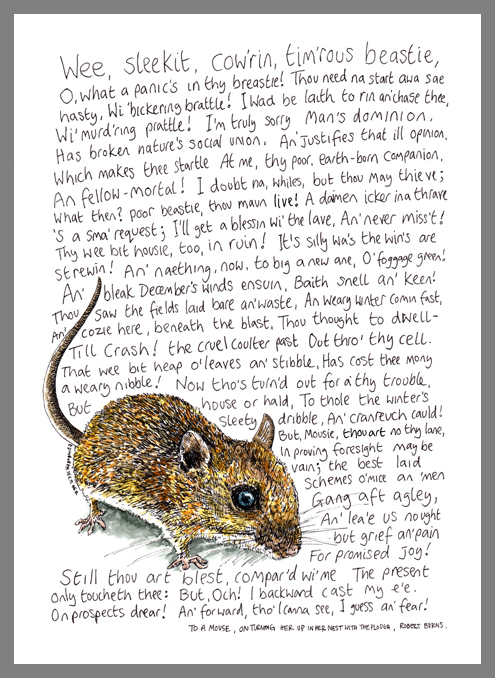 Starting with the famous words ‘Wee, sleekit, cow’rin, tim’rous beastie’, the ploughman’s tale tells of a mouse’s nest which is destroyed by the plough, leaving the tiny creature vulnerable to the harsh winter despite her careful planning. Burns notes how like the mouse, man’s best-laid plans often go awry. My sketch is in black ink with a little watercolour on the mouse. I may make it into a tea towel or framed piece on canvas. What do you think? 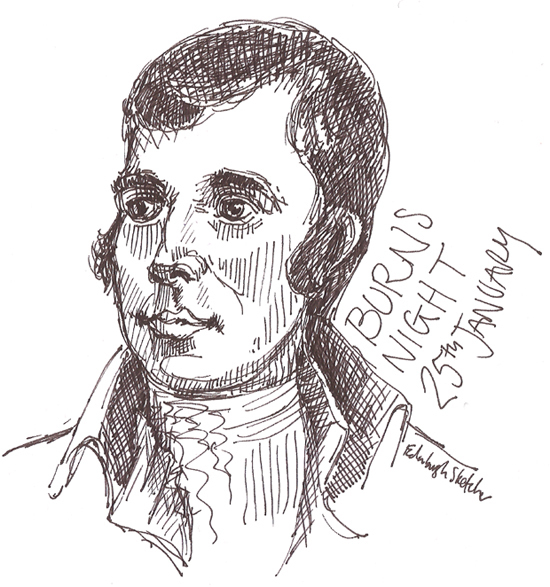 For more information about Robert Burns, who wrote many world famous poems, including ‘Auld Lang Syne’ and ‘A Red, Red Rose’ follow the links below. And be sure to raise a glass to the Baird tonight, when you settle down to your haggis , neeps and tatties. your Ode to a Mouse drawing is really great. i am in a research group here who studies mice, so they are near and dear! is the print available to buy anywhere? Marion Podolski liked this on Facebook. Rebecca Lee liked this on Facebook. Elizabeth Fraser liked this on Facebook. Janette Gowrie liked this on Facebook. Jason Ignatious Graham liked this on Facebook. Ian Burke liked this on Facebook.